1:1 with Bruce MacDonald / KCI What’s Next. Over the course of 2019, Nicole Nakoneshny, KCI’s Lead, Knowledge + Insights, will be going one-on-one with the members of our Philanthropic Trends Advisory Board to talk about the future of fundraising and philanthropy and explore What’s Next for Canada’s charitable sector. Q: Fewer Canadians are making tax receipted gifts and thanks to your 30 Years of Giving Report, we know that 74% of all receipted donations are coming from Canadians aged 50 and older…with 30% coming from those 70 and older. What does this mean for the sector? A: We believe this means there is a 10 year runway until we experience a seismic shift in the funding environment for charities. We currently have $4 billion coming from donors over 70 and we are starting to question what portion of that might exit the system. In our report we examined different generations at the same point in their lives and found that each generation is getting less generous. The report also showed us that receipted donations are increasingly coming from affluent donors. So, we are increasingly reliant on a smaller, aging and affluent donor base when it comes to tax receipted giving, which has historically been the main fundraising engine for charities. While we know the value of unreceipted donations is growing, I don’t think it’s enough to fully cover the drop in donors making receipted gifts. To be ready for that seismic shift, there are a few things charities need to be doing. First, charities must go to where the money is by connecting with older, affluent donors. The good news is that our report showed there are still growth opportunities with this group as a percentage of Canadians say they have both the willingness and ability to give more. Secondly, charities must build relationships with future generation of donors. Finally, they need to have the courage to take a look at what the future holds for them. Take the national data and compare how their donor base ranks against it. And if it matches the aging overall donor base, ask what changes they need to make in the way they do business and be prepared to adapt and change. We see big changes required over the next while, but I’m an optimist. I believe that the sector has been able to adapt in the past and we will do it again. Q: What should that adaptation and change look like? A: I think it could be a range of things. It could be shift in organizational structures and business models to ensure we are as strong and sustainable as possible. For example, are there hybrid business models, mergers or acquisitions that could take place in the sector? We shouldn’t be afraid of that conversation. We also need to be talking about ourselves differently. If you look at the global anti-institution bias, we need to present the sector in a less institutional and more human way. Communication has to be less about ‘support us because we are this organization’ and more about ‘did you know that the work we do makes this kind of difference’. It may require a different way of collecting data, ideas and stories, but we must realize that future generations of donors will be less willing to support an institution simply because the institution exists. They want to know the difference you make. Q: At Imagine Canada, you have predicted that Canada may be facing a social deficit of upwards of $23 billion by 2026. What does that mean and what needs to be done to prevent it from happening? A: The basic definition of social deficit is the gap between the demand for services and the ability of society to pay for those services. In simple terms, we are witnessing a growing demand and a shrinking supply. It won’t show up on a balance sheet, but rather in the form of longer wait time for services, the closure of organizations in small rural markets etc. So basically, the kind of society that Canadians have come to enjoy, benefit from and expect is, to a certain degree, in jeopardy. In terms of what to do, multiple strategies will be required. For instance, systematic reform on the part of governments to create a holistic enabling environment where the charitable sector can fulfill its potential, innovate, and grow. Another is working differently with the private sector as they are evolving how they engage with community. On the individual donor side, if we are witnessing a seismic shift in the funding from individuals, what are we doing to talk about the societal value of philanthropy? How are we ensuring that citizens continue to be generous with their time and money? So I think it’s a multi-pronged approach to looking at social norms around giving, looking at investment strategies, looking at removal of barriers around regulation. We believe this means there is a 10 year runway until we experience a seismic shift in the funding environment for charities. Q: Another trend we’re watching closely is that the concept of ‘doing good’ is increasingly being incorporated into corporate brands and strategy. What will that mean for charities? A: I think it means a few things. First of all, I think this trend can shine a spotlight on the relevance of the sector as never before because of the ‘war for talent’. Many corporate leaders are saying that we are about to enter a period of labour market shortage, which means it will be a ‘seller’s market’ when it comes to talent – as boomers retire there will be fewer qualified employees than there are jobs. So let’s play that out…If younger generations of employees are saying ‘I’m not interested in working with companies that aren’t environmentally responsible, have ethical supply chains, are engaged in community etc.’, community involvement becomes directly related to talent attraction and retention…which is at the heart of business. Something that is incredibly positive for the sector. Secondly, it means that more corporate leaders are attuned to societal issues, which is also a good thing because it will connect them with community leaders and organizations. In our report Corporate Giving in a Changing Canada, the percentage of companies who are seeing their CSR programs through a partnership lens is through the roof and usually those partnerships are with organizations in our sector. Q: You said earlier that you’re an optimist…I’m a bit of a pessimist. What if they can do it without us? A: Well they might and that’s the risk. One recent example is when the federal government awarded a $10 million contract to a private sector firm that would normally have gone to a charity. This company saw an opportunity, pivoted their core competency and moved into this space. Facebook and Paypal are leveraging their tools and are moving into the global giving space. It’s only a matter of time before companies start to view the consumer marketplace differently, seeing the opportunity to create a market of people who are willing to pay for services that would traditionally be offered for free by charities. Our Chief Economist Brian Emmett has done some research into this and discovered that when charities go head to head with companies, we can’t compete thanks to the private sector’s ability to raise venture capital, move with speed and take greater risks. Q: Another concern I have related to this trend is that it may change what it means to be charitable. I always think of the Tom’s Shoes example, which can leave the impression that I’ve made a gift to charity simply by buying a pair of shoes. A: I agree and we do need to figure this out. Because the problem for society is if that if the value of selfless acts of philanthropy are being replaced by ‘consumer social good’, that will not be enough… particularly when it comes to hard-to-fundraise-for causes. Sick children will win every time against women in prison or juvenile offenders or needle exchange programs. That’s where selfless charity comes in because those types of causes won’t align with corporate brands and they are also unlikely to be an area of interest for the corporate community from a business point of view as there is no profit to be made. So, we will still need organizations that rely on tax dollars and the generosity of Canadians to provide services that nobody else will want to provide and yet we, as society, are better off because they do. Q: We also know that 66% of donations are going to 1% of charities. Is that something to be concerned about? A: I can see arguments from both sides. You could argue that less fragmentation is a good thing. But I do worry that too much consolidation might stifle the ability of communities to invent solutions. Having said that, I don’t know if there are any industries that are different. Take the IT sector, where Google and Apple own the space and yet there is a vibrant start up culture. So, I’m not sure that it has to be an either – or. And I think this again points to the ‘adapt and change’ necessity. There are ever changing conditions and so a core competency that organizations must now have is the ability to pay attention, ask questions and adapt. I think the good news is that the sector has been around a long time and we do adapt. The big difference between now and previous major adaptations is speed. And that’s one area where our sector doesn’t do as well because we don’t have R&D budgets. Investing in new instruments for fundraising, programs and technology takes us longer because we have to go out and find the money before we can do it. Hopefully things like the Federal Government’s Social Finance Initiative can help in this regard. We have to instill the value of philanthropy and teach future generations about the act of giving and the obligation of a citizen to care about more than themselves, to care about their neighbors. Q: I wanted to ask you about the Social Finance Initiative. What’s your reaction to its announcement? A: My reaction is “yay”! It’s still early days and the details are still being ironed out around who is going to benefit and how it’s going to work, but I’m hopeful it could help with that R&D gap. A: Often when organizations have interesting ideas, a big barrier to trying them is that they have no dollars for innovation. Everything is linked to their main operating budgets, which means they can’t fail. With this fund, they may be able to access dollars to enable them to try things that, should they fail, don’t risk sinking the whole organization. But, it’s early days and the details are still being sorted out about how the fund will be used. Q: Are there any issues facing the sector related to fundraising that aren’t getting enough attention? A: For me it’s something I call ‘invisible philanthropy’. We’ve discovered through some of our research that a primary reason the older generation is more generous is because they were taught to give, with many citing religiosity and places of worship where they witnessed their parents giving as how that teaching happened. When you think of today’s world, busy mom and dad decide to make a contribution, kids are in bed, they pull out their credit card and make a contribution online. Children could be living in families that are generous but they simply don’t know it unless their parents make an effort to talk to them about it or invite them into the process. And some polling we’ve done says that less than 30% of families are doing that. We have to instill the value of philanthropy and teach future generations about the act of giving and the obligation of a citizen to care about more than themselves, to care about their neighbors. But if you don’t see it, how do you learn it? If you were to ask most 15 year olds who their families give to, I wonder if they could tell you. Q: Would you have been able to answer that question at 15? A: Yes, because my parents took us out to things. We weren’t church goers, but we did things in our community. My parents didn’t talk about the money so much, but it was really clear that we did things for our community because we were dragged out to do them. And so I think we need to do more to talk to and engage with our kids and grandkids when it comes to community and giving. Q: Finally, I want to ask you about the pesky and persistent issue of the cost of fundraising. How should we be dealing with it? What needs to be done? A: I would say is that the horse is out of the barn. We know that Canadians care about cost of administration and fundraising. Do I think we should dwell on it? No. But organizations should be transparent and realize that if they don’t share information about it, people fill in the blanks. It’s also important for all of us in the sector to make the link between strong infrastructure and results. Until now, we have allowed others to frame the narrative and have been playing defense on their field. We need to start playing offense on ours. Let’s talk about social good in this country, let’s talk about the social deficit and the need for social reform. And let’s talk about how we need to invest in organizations to achieve reform. A: As I said earlier, I’m an optimist and we are a sector that has been around for a long time, which means we have a demonstrated capacity to adapt and change. We’ve done it before and we can do it again. I also believe that young people care so much about the world in which they live. And early in indications are that new Canadians really want to engage in their communities. So there are tons of growth opportunities and lots of hopeful signs. We’re not talking about falling off a cliff; we’re talking about a change in the way that we’ve done business to a new way of doing business. But will it still be good? Absolutely. What’s trending right now when it comes to fundraising? On the ground. I love talking to boards and to hear what they’re doing. It keeps my pilot light lit. I don’t often read for professional development, but rather primarily for pleasure. Right now I’m reading Paper Boy, which tells the story of a 13 year old Belfast youth in The Troubles in the 1970s. The MacDonald Family business is actually mentioned in the book (Barry’s Amusements – Norther Ireland’s largest theme park and carnival). Who outside the sector do you feel has done a great job of dealing with the disruption they have faced? I actually think UK charities are doing some amazing things. I was on holiday in Scotland and Ireland recently and saw at least four charities doing paid advertising encouraging bequests in wills. They have identified the upcoming wealth transfer and are aggressively going after it. What was your first experience with charity, either giving or receiving? I grew up in the west end of Hamilton two blocks from Dr. Rygiels’ Home for Children, which served children with significant and complex disabilities. So we would regularly see the case workers with the children. We talked with our parents about wanting to do something and since our family owned a carnival company, we did a backyard carnival. I think we took over something like $9.60! But I was about eight or nine and incredibly proud to do it. Bruce Macdonald is President and CEO of Imagine Canada and has been in the business of “doing good” for over 30 years. 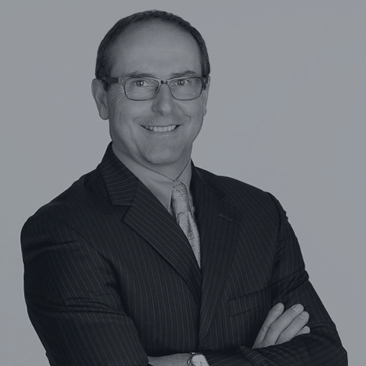 Before joining Imagine Canada, Bruce spent 20 years at Big Brothers Big Sisters of Canada, serving as both Vice-President of Marketing and in the last 10 years of his tenure, as the organization’s CEO. Throughout his career, Bruce has led major change initiatives and developed long and innovative partnerships with corporations and other charities, always demonstrating a knack for innovation. Bruce holds a Bachelor of Commerce in Sports Administration and a Masters in Management in the Voluntary Sector. He’s also the proud holder of a world record in the Guinness Book of World Records for the world’s Longest Hot Wheels Track!